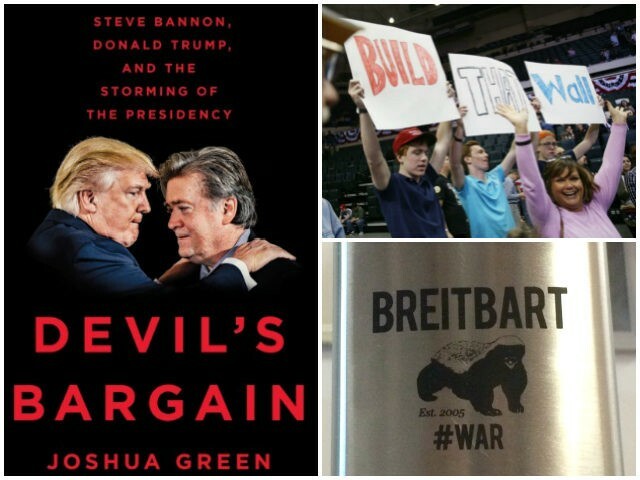 While previewing his new book, Devil’s Bargain: Steve Bannon, Donald Trump, and the Storming of the Presidency, author Joshua Green wondered whether “history could have been different” if Trump did not move to the right on issues like illegal immigration. But if Trump had run as the legacy media’s and the GOP establishment’s “dream” candidate, GOP primary voters may have seen him, in Green’s words, as a “New York Democrat,” and Trump’s past comments about abortion and immigration would have hurt him severely. Had Trump allowed the GOP establishment consultants to snooker him into supporting comprehensive amnesty legislation like Sen. Marco Rubio (R-FL) did, history would have indeed been different. Trump would not have won the presidency, the voices and concerns of working-class Americans would have again been shut out, and Green would not have been able to write his book. As I’ve noted, former Alaska Governor Sarah Palin blazed the trail for a pro-working-class/nationalist candidate like Trump to beat the professional conservative establishment, the Republican establishment, Democrats, and the legacy media. 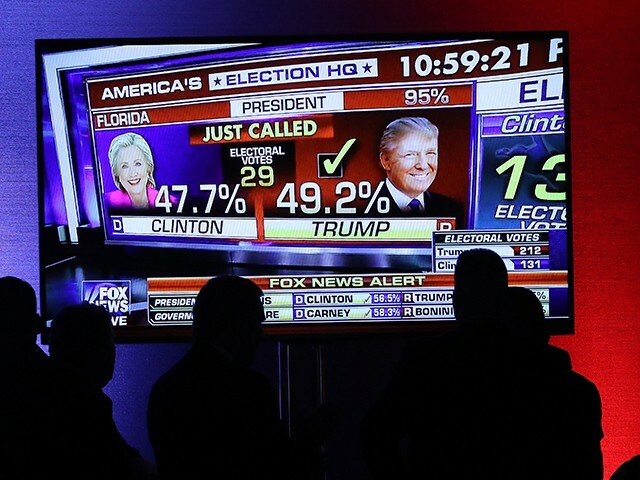 Green’s book details how Trump, with the help of former Breitbart News executive chairman Steve Bannon and Breitbart News, aligned himself with working-class Americans instead of the globalist bipartisan permanent political class to pull off one of the greatest election night wins in history. Before the dust was even settled after the 2012 presidential election, Reince Priebus’ foolish Republican National Committee published its poorly-named autopsy report in which the only policy recommendation was amnesty for illegal immigrants. GOP establishment consultants also convinced Rubio to break his campaign promise and be the face of the “Gang of Eight” bill because they thought passing amnesty legislation was the only way back to the White House. Nearly every single Republican consultant and legacy media figure on television parroted the conventional wisdom: Republicans could not win the White House in 2016 if they did not pass amnesty legislation. As Green notes, though, Trump decided he did not care what these elites thought. Former Trump aide Sam Nunberg told Green that Trump knew his core audience was going to be “people who work with their hands” and not those who like to write articles for fellow policy wonks and D.C.-New York journalists. Trump realized after Romney’s defeat that “his base of support would never come from genteel, country-club Republicans,” and he embraced the fight against amnesty for illegal immigrants. Green further explains that “the political fault line Trump stumbled across had lurked beneath the surface of Republican politics for a long time,” dividing America-first, pro-melting pot conservatives from pro-corporatist Republicans who wanted cheaper labor regardless of the consequences that it had for working-class Americans, the country’s culture, and the nation’s ability to have borders and enforce immigration laws. 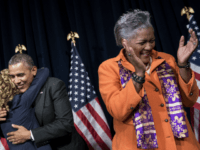 Working-class Reagan Democrats who have determined every election since 1980 stayed at home in 2012 even though many of them had voted for Barack Obama in 2008 and were disillusioned. Bannon profiled those voters in The Hope and the Change documentary in 2012, which was ignored by those in the legacy media who were dumbfounded four years later about the rise of the Obama-Trump voter. According to Green, “Bannon helped organize Trump’s response, defending him in Breitbart but also urging him to amplify — rather than apologize for”— Trump’s firm stance against illegal immigration that had been overlooked by Democrats who wanted more voters and Republican elites who wanted an endless supply of cheap labor. Trump forced the media to cover issues like illegal immigration and families who had been victimized by illegal immigrants. For too long, the media, along with politicians on both sides of the aisle, ignored these issues. And working-class Americans started to regularly go to online outlets like Breitbart News to get stories that legacy media outlets would not cover and establishment politicians did not highlight. Breitbart News under Bannon’s leadership adopted as its unofficial mascot the fierce yet small honey badger immortalized in a viral video featuring the famous line, “honey badger don’t give a sh*t.” Those words became Bannon’s personal motto, and he wore the honey badger nickname (which former LSU star Tyrann Mathieu also had) like a badge of honor. 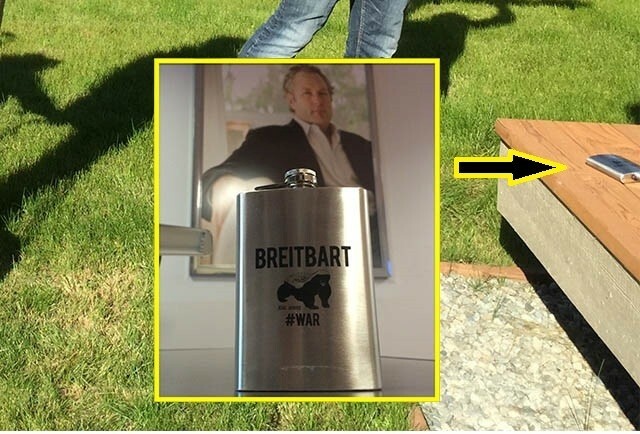 The animal, considered one of the most fearless in the world, was even featured on Breitbart News flasks (see a picture of one below at Sarah Palin’s home). 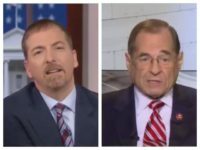 As Green writes, because Rubio, “the darling of Fox News,” was “leading the charge” for the Gang of Eight, the amnesty bill “appeared to have unstoppable momentum.” And it would take a “honey badger” like Bannon to take on all of the establishments to oppose the amnesty bill and signal to Washington and the legacy media that they were entering a new era in which their ability to collude to shut out the voices and concerns of working-class Americans would be severely blunted. “To Bannon, who was now running Breitbart News following Andrew Breitbart’s death in 2012, killing the reform effort became a defining crusade,” Green writes. Indeed, Breitbart News adopted Nolan Richardson’s relentless “40 minutes of hell” strategy, which is one that actually benefits underdogs, as this New Yorker article (“How David Beats Goliath”) on a youth female basketball team revealed. 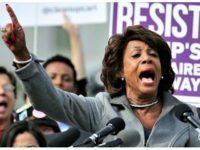 “The website published a daily fusillade of alarmist fare about hordes of murderous illegal immigrants pouring across the southern border and the treasonous Republicans in Congress turning a blind eye to their menace,” Green writes. Green notes that “by the time Trump entered the presidential race in June 2015,” Breitbart News’ reporting on illegal immigration’s impact on American workers, corporations gaming the guest-worker visa system to displace American workers with foreigners who are not more qualified, the existential threat of radical Islam, and the “excesses of political correctness” had done “much to shape Trump’s populist inclinations and inform his political vocabulary.” Green writes that the site’s “unapologetic and take-no-prisoners style of reporting” appealed to Trump. During his meetings with Trump, Bannon “eagerly encouraged” him to build a political movement around the concerns of working-class Americans who had been left behind by elites in both political parties. Rupert Murdoch, the CEO of News Corp., which owned Fox, and Roger Ailes, the network’s president, were both strong advocates of immigration reform, and made sure the network reflected their preferences. “God bless Fox,” gushed South Carolina Senator Lindsey Graham. Illegal immigration “also dovetailed with Trump’s long-held view that the U.S. was being taken advantage of by hostile foreigners,” Green writes. 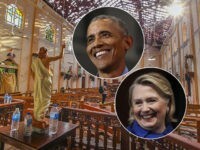 And although the Gang of Eight passed the Senate, the “bill died in the House, done in by conservative backlash” due to largely to Breitbart News’ reporting. 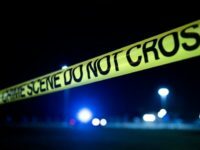 Tipped off by border agents, [Breitbart News] first drew attention to the child migrant crisis at the U.S.-Mexico border. The vivid scenes of helpless U.S. officials and detention facilities overrun by waves of Mexican and Central American children were widely picked up by the national media, killing any chance of Congress passing immigration reform. The backlash also took down Republican House Majority Leader Eric Cantor of Virginia. In June 2014, after Cantor was blindsided in the GOP primary by an unheralded economics professor named David Brat, Trump gave an interview to Breitbart News that delighted conservative populists by blaming unchecked immigration for the party leadership’s stunning loss. The “Gang of Eight” bill’s humiliating defeat was a signal to the Washington cognoscenti that online news outlets may be more influential than traditional “right-of-center” outlets like Fox News. Breitbart found its groove by reporting news that Americans were not used to seeing in even GOP establishment outlets like Fox News, The Weekly Standard, and National Review, all of which would often parrot the establishment GOP/Chamber of Commerce line while shutting out viewpoints that resonated with American workers of all backgrounds. Gone were the days when National Review and The Weekly Standard served as mouthpieces for the GOP establishment. But it took a “honey badger” like Bannon who was unafraid to battle even the godfather of conservative media—Roger Ailes. Despite all of the howling from establishment Republicans who sounded like Rep. Luis Gutierrez (D-IL), who said George W. Bush would be the last GOP president if Republicans did not pass amnesty legislation, and Univision anchor Jorge Ramos, who said Republicans needed 33 percent of the Hispanic vote to win the White House, Trump actually did better among Hispanics and blacks than Romney did. Though he got a bit below Ramos’ 33 percent target with Latino voters, Trump still won the White House. The Latino vote, largely concentrated in states like California and Texas that are not in play, was overhyped leading up to the 2016 election, while the white-working class voters who did not vote for Romney were often ignored. Few reporters in the legacy media realized the importance of the so-called Reagan Democrats. Nate Cohn at the New York Times was a notable exception when he wrote that Republicans had a path to the White House without the Hispanic vote. As Breitbart’s Joel Pollak has documented, Trump went from the middle of pack to the top of the GOP primary field nearly a week after he met with victims of illegal immigrant crime after Kate Steinle was murdered by an illegal immigrant in San Francisco. Trump never looked back and did not waver on immigration throughout the campaign. 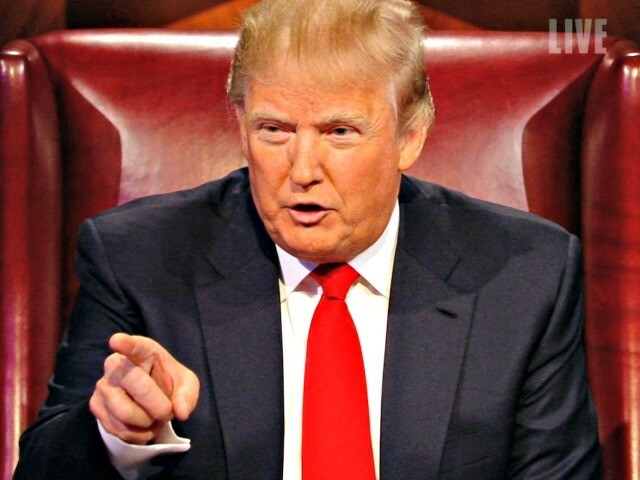 What Green leaves unsaid is that Trump’s popularity with minorities during the last decade may have allowed him to move to the right on issues like illegal immigration because there were a fair number of working-class minorities who would still support the “blue-collar billionaire” because of his appearances on The Apprentice and WWE. That approach enabled him to win states like Pennsylvania that Republicans had not won in a generation. 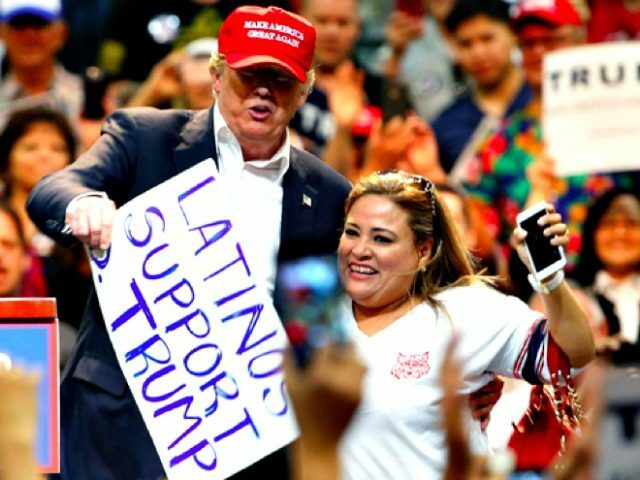 Trump went all-in on immigration, and he taught the GOP establishment a lesson that Republicans could oppose illegal immigration and win the presidency by 1) turning out white working-class voters in places like Macomb County, Michigan, who cannot stand “power point” Republicans and 2) appealing to enough working-class minorities who believed in Trump’s “America First” agenda. Because of his success on reality television, Trump understood how to be a politician in the reality-tv era just like Ronald Reagan’s past as an actor allowed Reagan, with Michael Deaver’s help, to master being a candidate and president in the broadcast television era. In addition, because Trump played everybody’s favorite boardroom executive on The Apprentice, regular Americans already envisioned him as president just like 24’s fictional black American president David Palmer allowed voters to see a black man as president. “People on the street would ask me to run for office… when I went to promote ,” he said in a 2008 interview. Trump’s over-the-top reality star personality may have ameliorated the fallout from his infamous Access Hollywood tape in which he talked about grabbing women by their private parts. What would have been devastating for a conventional politician wasn’t fatal for Trump because the “outrageous factor” was already baked into the cake when voters were considering whether to vote for him. Trump and Bannon understood this dynamic and fought back unlike Republican establishment figures who, mistaking Trump for milquetoast politicians like themselves, believed the Access Hollywood tape would hurt Trump a lot more than it did. And that is why Trump may have seen Bannon as a key asset on his team from the start. In his book, Green writes that Trump’s former advisers Roger Stone and Sam Nunberg wanted a “mnemonic device” to make sure Trump stayed on his immigration message and realized that “the Wall” was the one that “clicked.” Messrs. Stone and Nunberg reportedly talked to Bannon about the idea. In his afterward, Green justifiably points out that Trump’s advisers were unfamiliar with how the D.C. “swamp” works and schemes. Green put a spotlight on the infrastructure that Trump’s pro-nationalist movement will need to be successful going forward and how important it is to fill key positions with, in Trump’s words, “his people,” and not the career “Never Trumpers” who somehow snuck into the administration. But Green is wrong when he declares that “Trump doesn’t believe in nationalism or any other political philosophy— he’s fundamentally a creature of his own ego.” Though Trump has been all over the map on a host of issues, he has been consistently a nationalist on trade issues, as he has argued for more pro-America trade deals since the 1980s. Green’s assertion is refuted by his own reporting–he writes that Trump and Bannon bonded over the immigration issue because it “dovetailed with Trump’s long-held view that the U.S. was being taken advantage of by hostile foreigners.” (emphasis added). 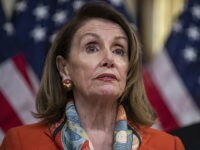 Green also claims that “Trump ran against the Republican Party, Wall Street, and Paul Ryan, but then took up their agenda,” and though his words may not be reflective of the reality on the ground, they show the potential dangers for Trump if he is perceived as being too cozy with Wall Street and the Republican “power point” establishment. 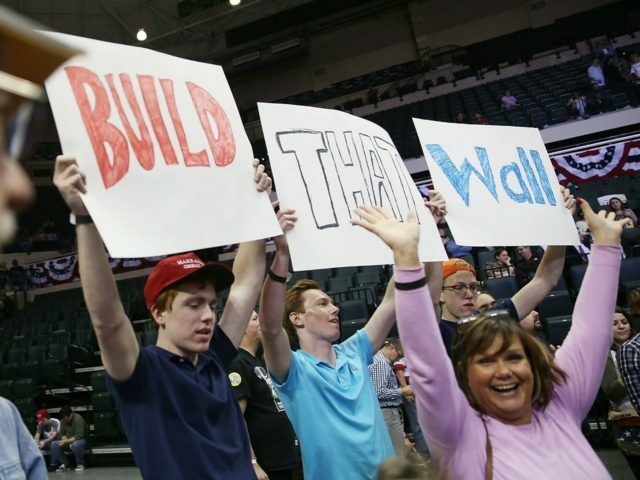 Numerous focus groups and studies after the election all found how important Trump’s stance on immigration and promise to build the wall were to his success. A recent focus group by Democratic pollster Stan Greenberg of working-class voters in Macomb County, Michigan, found how much these voters still support Trump, as they were not bothered by his temperament and all of the “scandals” the media were trying to gin up on a daily basis. These concerns make it imperative that Trump starts construction on the wall, for his promise to build the wall may well be akin to George H.W. Bush’s “read my lips” promise to never raise taxes. And as the media, establishment Republicans, Never Trumpers, and Democrats do all that they can to delegitimize Trump, Bannon’s presence by Trump’s side may be instrumental in reassuring Trump’s working-class voters that Trump is still on their side. 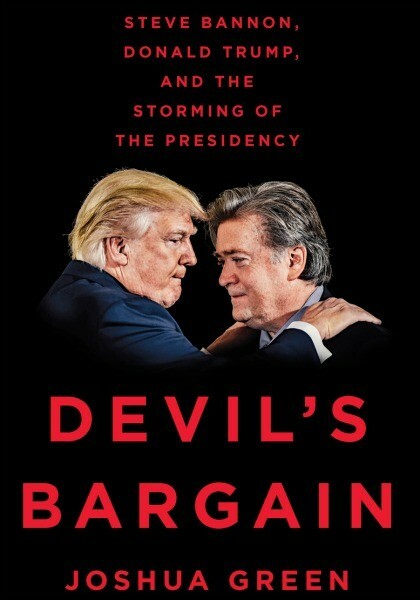 Green’s book, Devil’s Bargain: Steve Bannon, Donald Trump, and the Storming of the Presidency, was released this week.